The International Network of Engaged Buddhists (INEB) and Nagaloka, in partnership with Deer Park and the Karuna Trust, invite you to a conference celebrating the 60th anniversary of Dr. B.R. 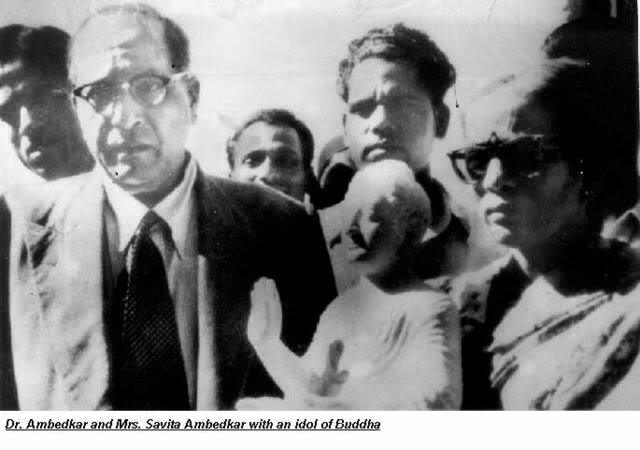 Ambedkar’s momentous conversion to Buddhism. Born a so-called Untouchable in 1891, Dr. Ambedkar dedicated his life to bringing about a society in which there was no discrimination of any kind, a society permeated by the values of Liberty, Equality and Fraternity. These values, he said, he had derived not from the French Revolution but from his Master, the Buddha. His life of ceaseless struggle culminated in his conversion to Buddhism along with 500,000 others in October 1956. Though he died a few weeks after his conversion, millions have followed him into Buddhism, paving the way for a caste-free democracy in India. His importance in Indian political and social life can be gauged from the fact that all present-day political parties have co-opted him, and are investing enormous energy into celebrating his 125th birth anniversary, which also falls in 2016. 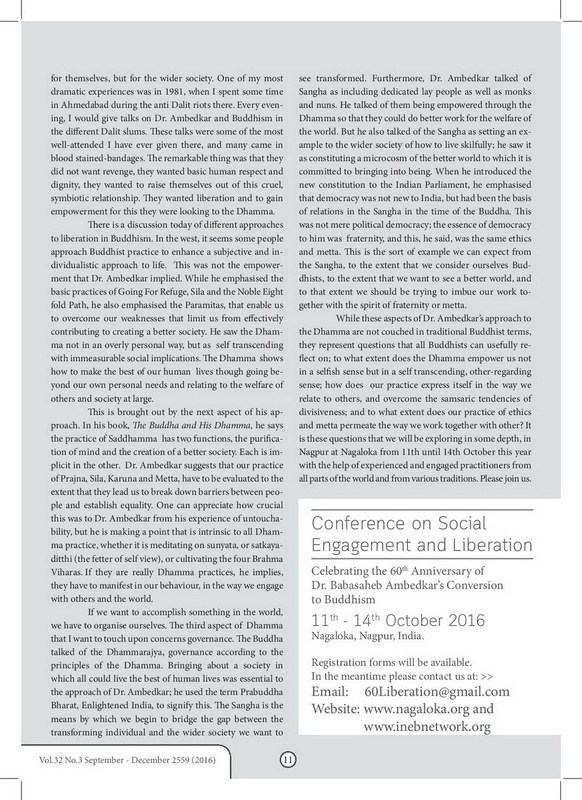 During the conference we will be asking Buddhists from traditional and western backgrounds to look at aspects of the Buddhism central to Dr. Babasaheb Ambedkar’s vision: Dhamma as empowerment, breaking down barriers between people, and the implications of Dhamma for governance and civil society. 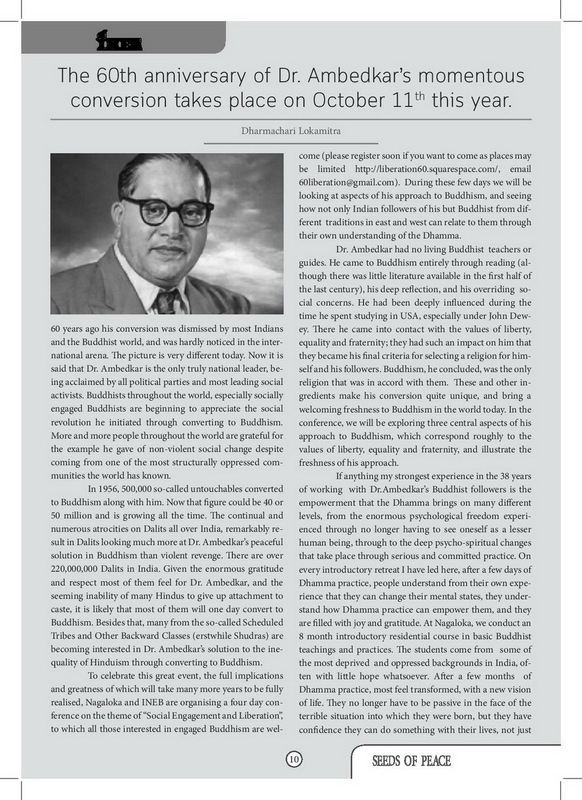 This conference will help bring Dr. Ambedkar’s compelling approach to Buddhism to the attention of the wider Buddhist world, and provide opportunities for his Indian followers to interact with Buddhists from outside India. Plan to arrive in Nagpur by October 10. There will be no formal charge but donations will be welcome to help cover expenses. Mornings: Speakers from different parts of the Buddhist world, grounded in their own practice, will explore daily themes. Afternoons: Group discussion followed by a panel of speakers and senior Buddhists. Evenings: cultural events combined with visits to social projects run by local Buddhists.